A favourite of our customers for its breathability, lightweight properties and luxuriously soft feel, our cotton batiste fabric has become a signature of Derek Rose quality. A dream for them to lounge or sleep in, the Ledbury 11 will keep your little ones comfortable when they need it most. 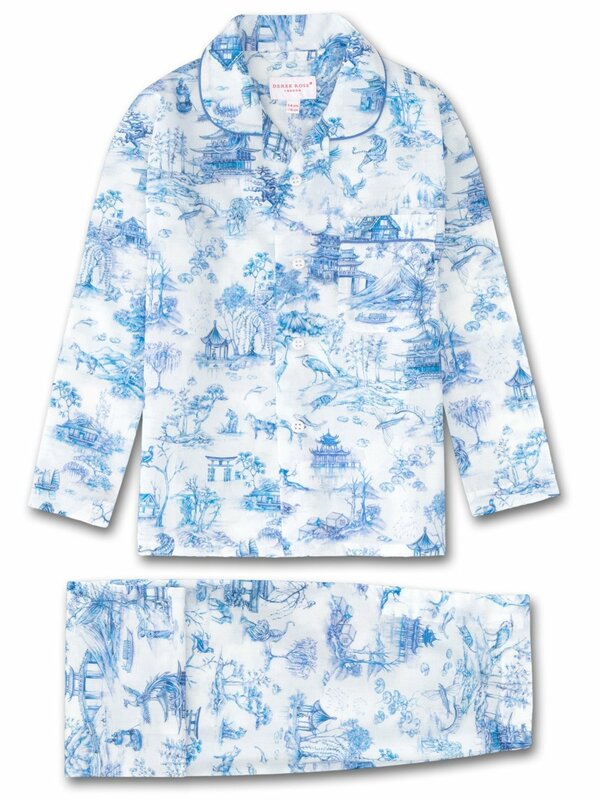 The pyjama top is fastened with buttons and piped in complementary light blue, while the trousers have an elasticated waist for ease and comfort.